The difference between our 106 and 107 is the pocket on the right thigh: zipper closure instead of snap. The triple-stitched seams, "mudflap" reinforced heel cuffs, reinforced pocket bags, and angled back pocket are the same. Excellent quality, excellent fit. I'm 6'1" 200lbs and I have big thighs so it's been hard to find pants with the right fit. But MK has nailed it. This is the third set of pants that I now own from them, and the all the fits have been great. These have great stretch, and are comfortable. Pockets are great size and look great. Two thumbs up and five stars all day. These pants are by far and away the most comfortable I've ever worn. The fabric is durable, flexible, and soft with the perfect amount of stretch. The zipper pocket on the thigh is perfect for cell phone storage. I will be buying more of them in the future. The Camber 106 is by far my favorite! All Mountain Khakis products are superior in quality & fit perfectly. 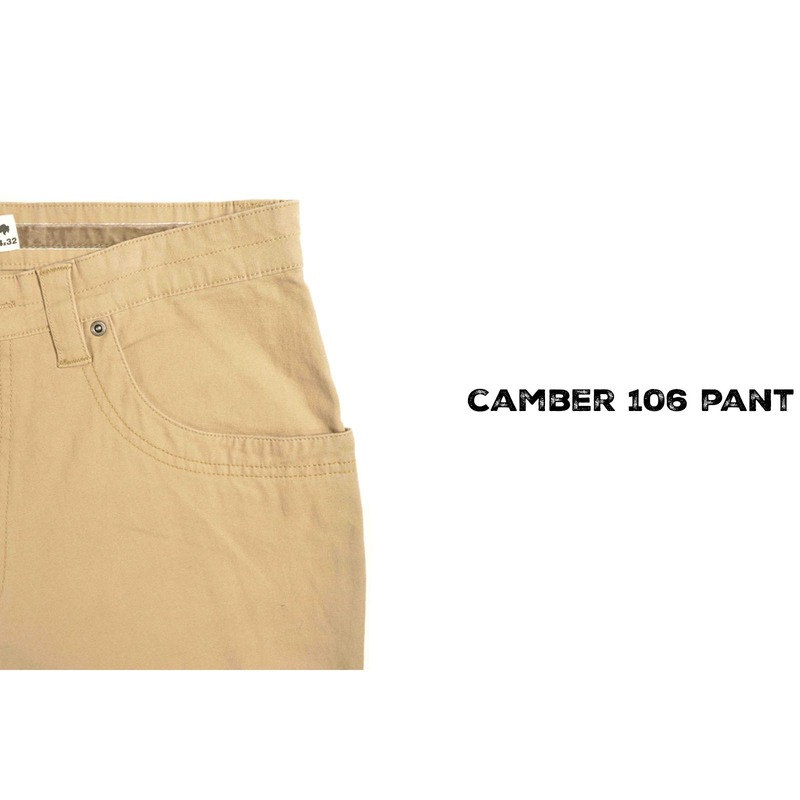 The ease of movement & comfort of the Camber 106 outclass anything else! I am a thin guy and these pants fit perfectly. They are not baggy and the weight of the material is perfect. True to size! Just got these and love them! I’m a big , active guy and it’s always hard to find the right fit for me. MK pants are off the planet goodness! I own almost every pair they offer and haven’t found a con yet !